Laid down, 10 January 1944, as SS Harry Toulmin, a Maritime Commission type (EC2-S-C1) hull, under Maritime Commission contract (MCE hull 2453), at Delta Shipbuilding Co., Inc., New Orleans, LA. Converted for Naval service at Waterman Steamship Co., Repair Yard, Mobile. AL. 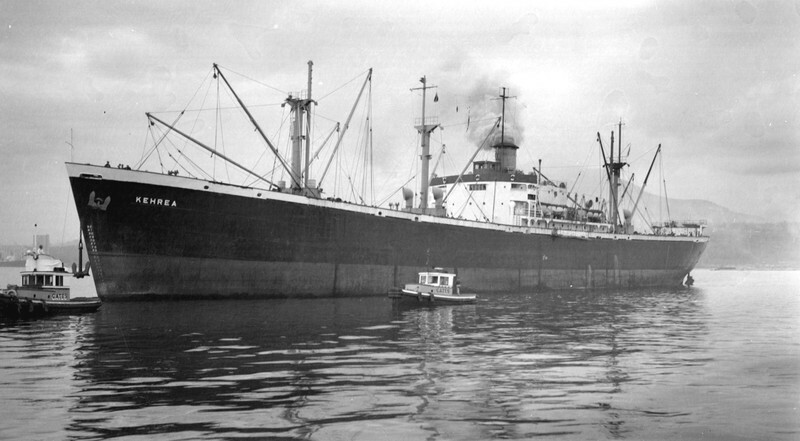 Decommissioned, 13 November 1945, at San Francisco, CA. 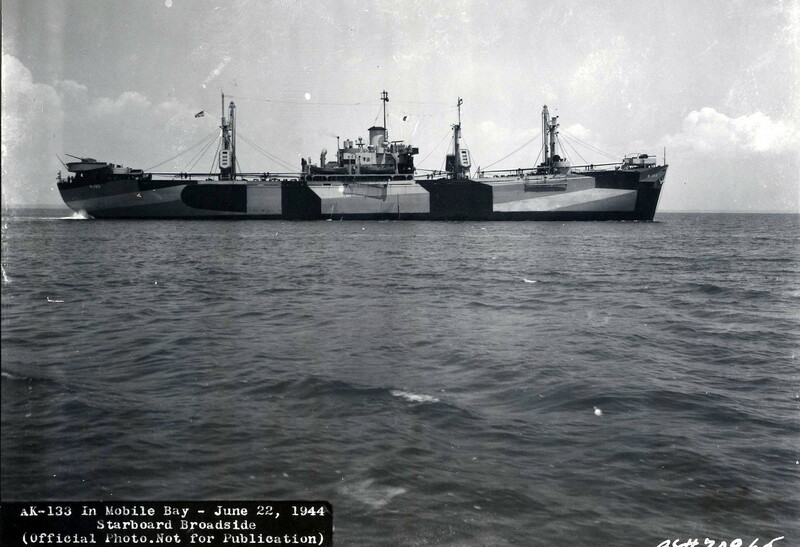 one turbo-drive 20Kw 120V D.C.
476k Starboard broadside view of USS Seginus (AK-133) in Mobile Bay, 22 June 1944. 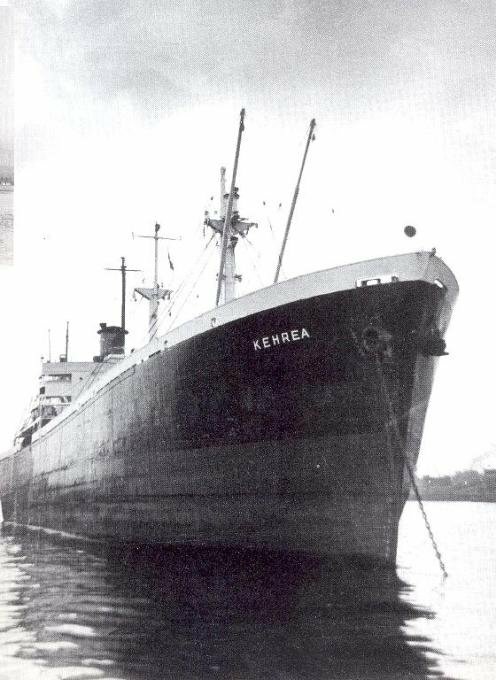 81k SS Kehrea in harbor with tugs, probably at Vancouver, B.C.